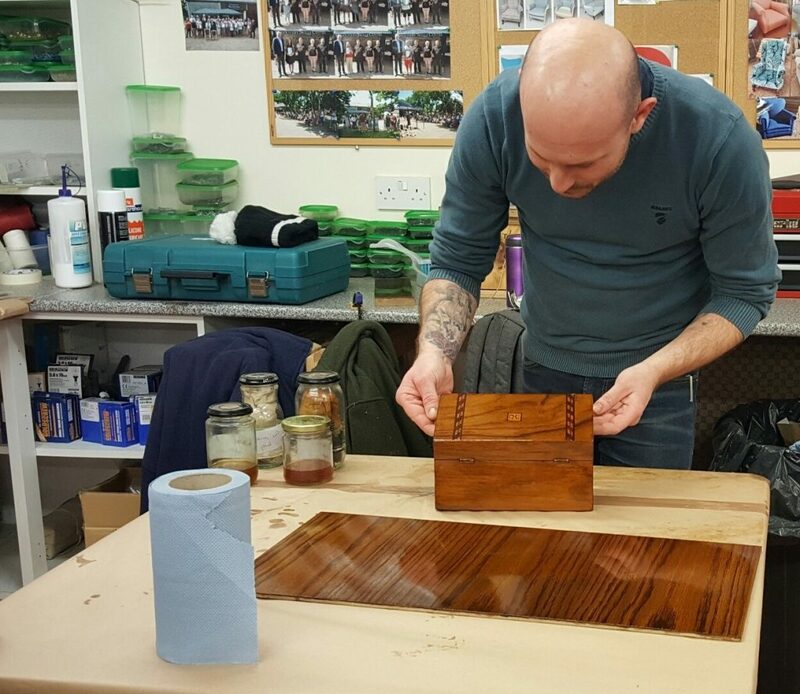 You will learn the techniques on practice boards that are provided and you will also start working on your own small item, such as a wooden writing or trinket box. 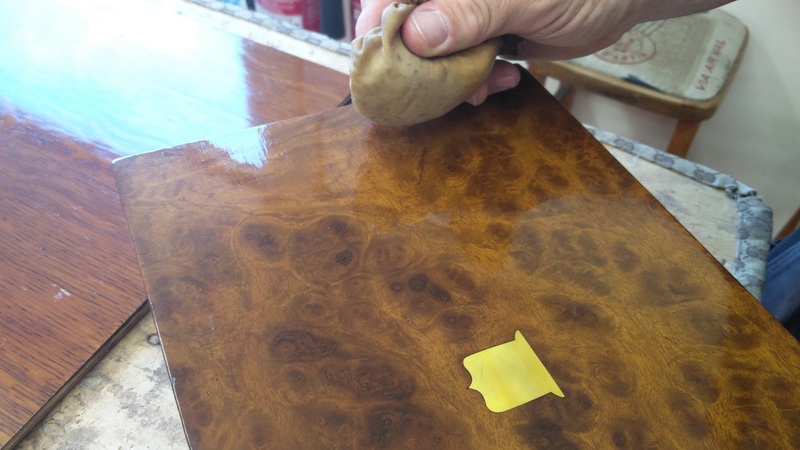 You will learn about stripping; cleaning & re-polishing; dealing with surface defects; staining; scaling; grain filling; skinning in; bodying in; and stiffing off. The course fees for this 3 day course are £312.50 + VAT (£375 inc VAT).